Prime Minister David Cameron has come under fire for his use of language when talking about the Calais migrant crisis. Speaking to ITV News today from South East Asia, where he is on tour, the PM said: "This is very testing, I accept that, because you have got a swarm of people coming across the Mediterranean seeking a better life, wanting to come to Britain because Britain has got jobs; it's got a growing economy, it's an incredible place to live." 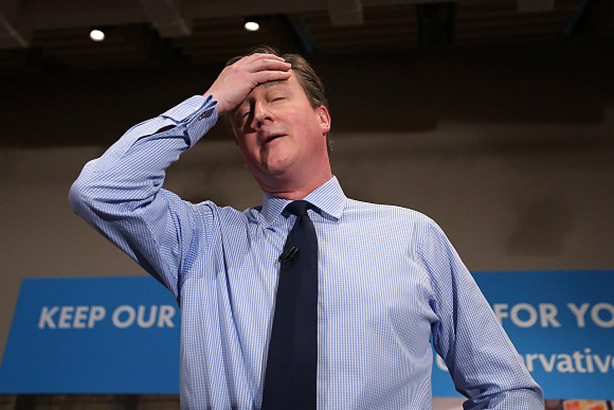 Cameron calling Calais migrants a 'swarm' is nothing short of disgraceful. Confirms there's no dog-whistle these Bullingdon Boys won't blow. Meanwhile, UKIP leader Nigel Farage attempted to capitalise on Cameron's PR mis-step but ended up being caught out for contradicting himself. Farage told the BBC Radio 4's Today programme that he would not "use language like that", despite using the exact same phrase earlier in the week. During an appearance on Good Morning Britain about Calais, Farage said: "A couple of times I’ve been stuck on the motorway surrounded by swarms of potential migrants to Britain and once they tried the back door of the car to see whether they could get in." Meanwhile, Eurotunnel has publicly called on the British and French governments to do more to resolve the situation. Eurotunnel claims it has gone "beyond its contractual obligations" by investing more than €160m (£112m) in fences, lighting, cameras, infra-red detectors and human resources to protect the terminal in Coquelles. "The continuous pressure exerted every night is above and beyond that which a concessionaire can reasonably handle and requires a constructive and appropriate response from the governments," Eurotunnel said in a statement. "In this context, Eurotunnel and its employees, who hold to their task despite the psychological pressure that weighs on them, continue to guarantee a rapid and safe Channel crossing for millions of customers."